Mobile Suit Gundam SEED Wallpaper: Gundam SEED .::Freedom::. 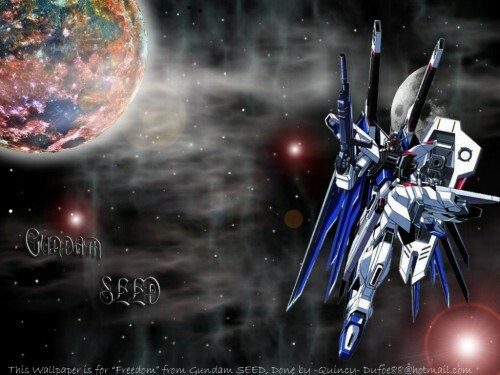 Minitokyo »	Mobile Suit Gundam SEED Wallpapers » Mobile Suit Gundam SEED Wallpaper: Gundam SEED .::Freedom::. This is a great wallpaper...nice one..keep it up your good work..
You do the Gundam Seed universe justice! Very nice color contrast and the post of the gundam is sweet.